There’s no other way of putting it: Dan Rhodes is Box Office Dynamite. This page will detail his many stage and screen triumphs. First up, here is his book Timoleon Vieta Come Home, taking centre stage in a pivotal scene in Knocked Up – managing two appearances in a single shot, and stealing the limelight from poor Seth Rogen and Katherine Heigl, both of whom only appear the once. Industry insiders attribute 12-14% of the movie’s critical and commercial success to the book’s appearance. It’s the episode where Carrie gets back with Aiden (who she should really have ended up with – not that we watch it or anything). Rhodes accepts no responsibility for the movie spin-offs. Rhodes has also conquered the world of the music video. 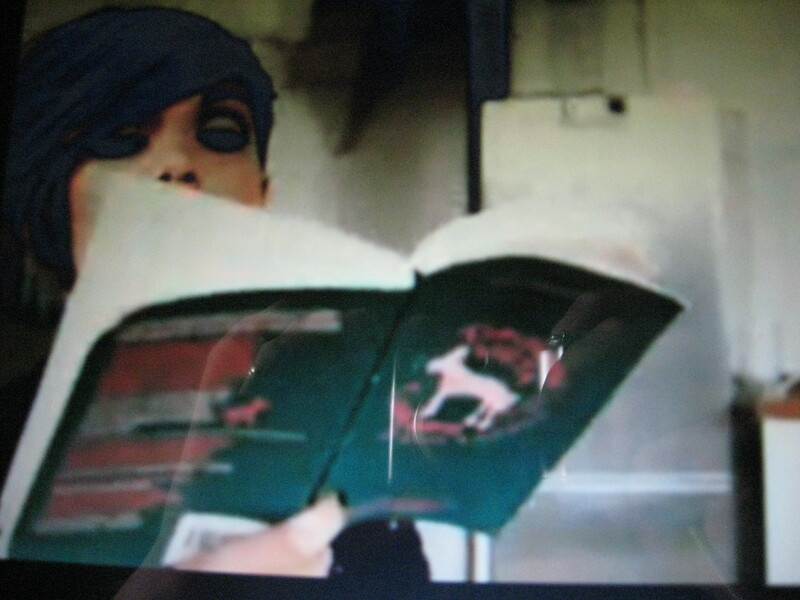 Here is Frankie Sandford out of S Club Juniors and The Saturdays reading a rare green edition of his book Timoleon Vieta Come Home in the video for Undercover Lover, the song she did with Kids In Glass Houses. Watch it here. Rhodes has a couple of screen projects in development. Wish him luck with those. He once discovered by chance that his book Anthropology had inspired an unauthorised Umbrian ballet. Seriously people, if you’re going to do a ballet based on someone’s work you should tell them. It might even make their day. For dramatisation enquiries please contact Christine Glover at Casarotto.